Pirsonal is the personalized video platform to evoke a reaction from your segmented audience. Pirsonal’s proprietary technologies are flexible, scalable and cost-effective. Individualized Videos is a complete solution to automatically create individualized videos from any type of structured data to help you accelerate sales and increase engagement like never before. Pirsonal’s Individualized Videos automatically generate scalable, customized videos, taking care of every aspect on the way. Get ready to target your segmented audience on a 1 to 1 basis according to their needs, funnel stage and customer journey. Stay relevant to your customers and increase revenue by empowering your marketing automation with Pirsonal’s video marketing platform. 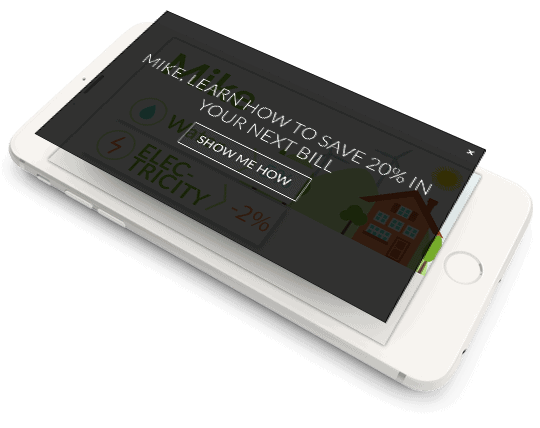 Create countless interactive video combinations based on your data and triggers, to fully adapt your message to what will make your customers react. 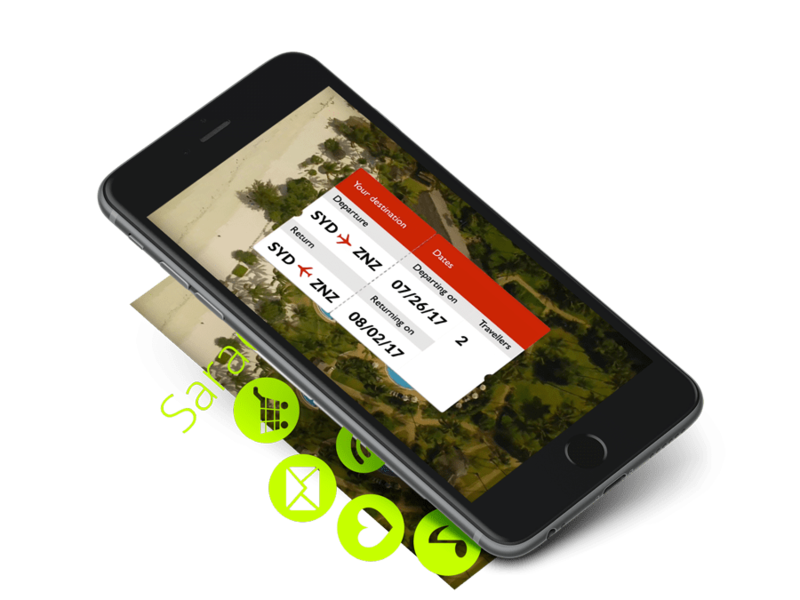 Create and distribute each personalized video through your own communication channels. 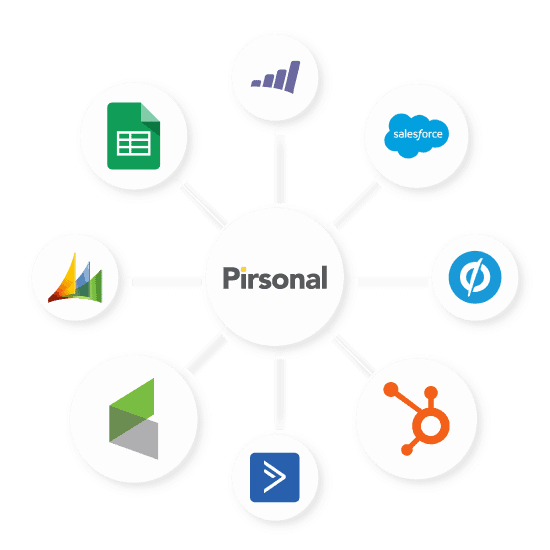 With Pirsonal API and integrations your marketing, sales and communication automation strategies get responsive. Pirsonal’s Individualized Video Platform integrates with hundreds of applications to help you automatically create highly Individualized Videos based on your triggers and actions. Pirsonal API and integrations also enable you to create a personalized landing page for every video and person, powered by a video player with a customized, individualized call to action. Unlike other personalized video platforms, Pirsonal gives you the workflow and technical flexibility that your business needs. Each personalized video deserves its own place. Automatically create an attention-driven dynamic landing page for every individual with Pirsonal Pages. Our Pirsonal Pages allows you to customize images and texts on every Individualized Video landing page. 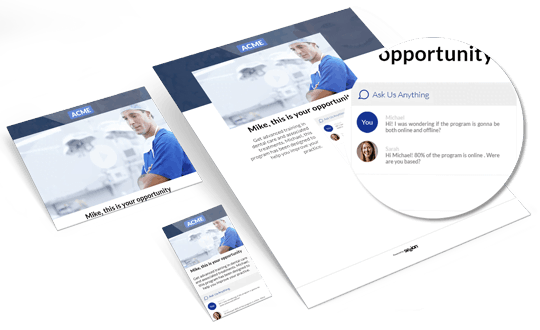 You can even insert third-party applications to increase the interaction conversions and evoke the reaction you need from every person. As part of the same interactive video platform, these personalized landing pages are instantly created and updated using your own customer-centric data. Complete the Individualized Video interaction with Pirsonal Player, an HTML5 video player focused on individualized video experiences. Pirsonal Player allows you to create and display custom calls to action for each individual, on a video by video basis, automatically. The interactive video player can be embedded wherever you need and offers intelligence analytics to help you react depending on every personalized video’s performance. Pirsonal’s personalized video technology automatically manages the configuration of the interactive video player for each person based on the same data source used to create the personalized video. Pirsonal individualizes and edits images, videos, audios and texts to enrich every video and create a 1:1 experience. Pirsonal creates the videos in several formats so that they can be played on most of devices and browsers: MP4, WEBM, OGG, etc. Use your own creative assets designed with any software, from Adobe After Effects or your favorite video editing software. A Webhook is a push notification from Pirsonal’s servers to yours or to any software. Through our platform, they can be password-protected. Pirsonal can instantly communicate with any marketing platform the moment a video has been created to integrate the videos in your emails, SMS, a CRM or any system. Sezion integrates with Amazon Webservices so you can securely host the Individualized Videos in your own S3 bucket. Use your own video hosting, integrate the Individualized Video files wherever you want through Pirsonal’s API, the Individualized Videos Platform for developers. Create Personalized Video Templates on the fly thanks to Pirsonal’s documented, JSON-based scripting language.